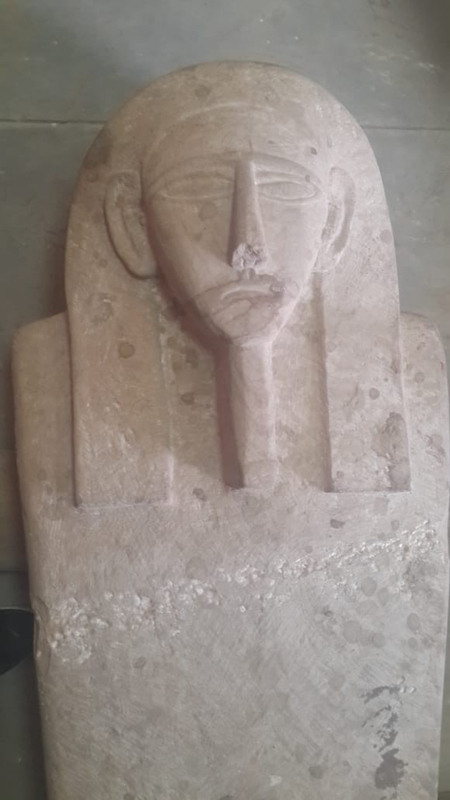 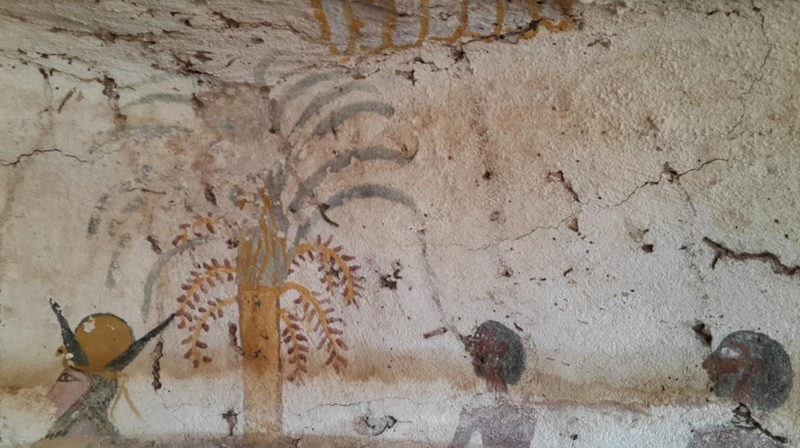 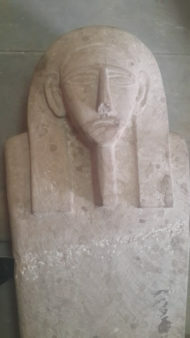 One of the recent finds in the Aswan area. An Egyptian Archaeological Mission working on the Agakhan site at the western bank in Aswan, succeed to uncover a sandstone coffin. 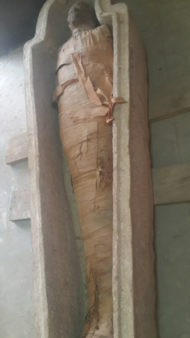 Its lid has a human body shape and inside the coffin is a mummy wrapped in linen. 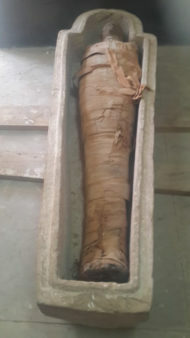 The mummy is preserved in a good condition. 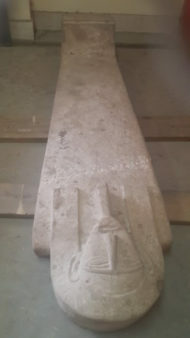 The tomb dates back to the Late Era. Dr. Mostafa Waziri General Secretary of the supreme council of Antiquities explains that the coffin was found inside one of the three tombs uncovered during the archaeological survey carried out in the western road which leads to the Aga Khan Ville and shrine. 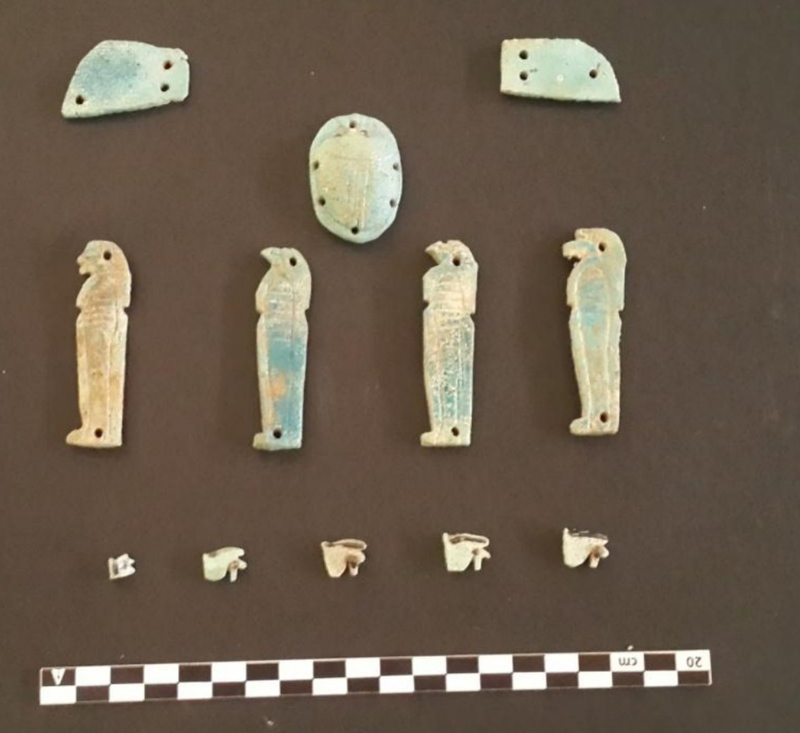 The mission also discovered remains of a pottery coffin, parts of a stone painting decorated with inscriptions and hieroglyphic writings. On his part Dr. Abdel Monaem General Director of Aswan and Al-Nuba Antiquities said that during the archaeological cleaning of the tomb the mission found a collection of mummies buried in a random and unorganized method. 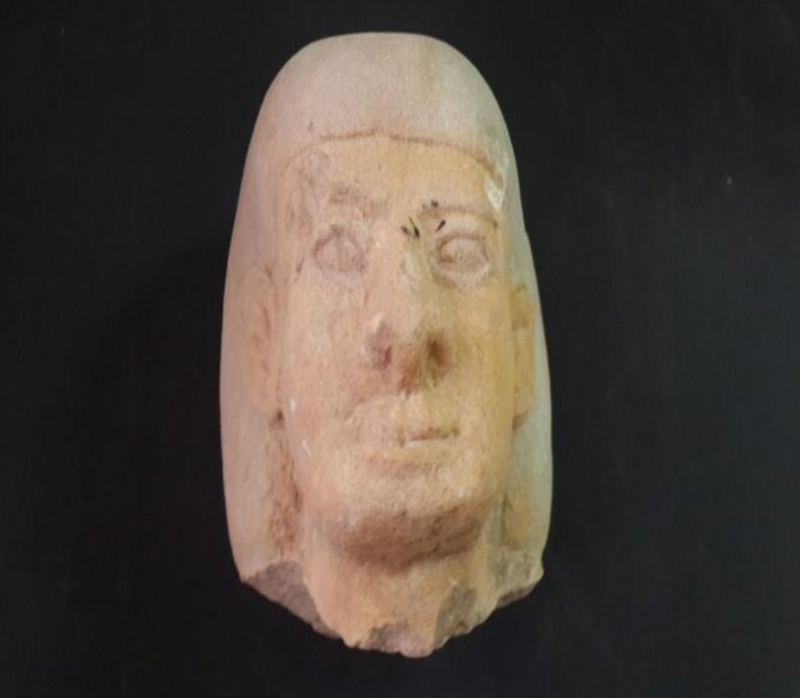 The mission continues the excavation work and has also uncovered a rectangular chamber of 3x5m in which a head of a sandstone statue without inscriptions, a collection of amulets made of colored stone, and a small wooden statue of the god Horus were found. The walls of the chamber are decorated with colorful religious scenes representing some of the gods, such as Hathor, Isis and Anubis.